The past generation has witnessed a radical shift in economic thinking. The most well-known economist when I was young, in the 1960s and 70s, was John Kenneth Galbraith. Galbraith is often classified as a Keynesian economist, meaning he believed government had a role to play in economic matters and that collective action through government spending could help the economy. 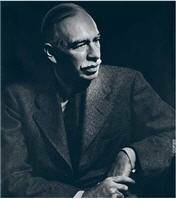 His predecessor, the British economist, John Maynard Keynes, was similarly modest. He said, “If economists could manage to get themselves thought of as humble, competent people on a level with dentists, that would be splendid.” Born in 1883, he weathered two World Wars and The Great Depression. 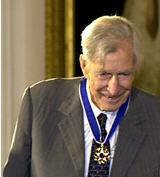 Just before he died, he participated in the Bretton Woods international economic conference in New Hampshire convened by President Franklin D. Roosevelt. This event established a global gold-standard, the World Bank and the International Monetary Fund, with a stated aim to help the poor in developing nations. It hasn’t worked out as he hoped. A new group of radical economic thinkers gained dominance in the global economy and changed our nation’s political direction. These economists were viewed as somewhat god-like, in touch with obscure systems and mathematics most couldn’t understand. In 1980, George Bush ran against Ronald Reagan for the Presidential nomination and called his tax-cuts and “supply-side” ideas “voodoo economics.” But by 2008, conservative economist Allan Greenspan had served under four presidents. When he retired from the Federal Reserve, his memoir was openly celebrated for his ability to say things about the economy no one was sure they understood. The most influential economist of our time died just last year. 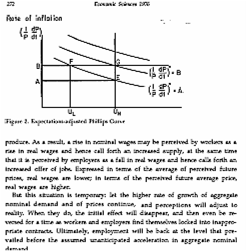 Milton Friedman began his career at the conservative school of economics at the University of Chicago; he and his followers, who called themselves “The Chicago Boys,” claimed to be very scientific, measuring “natural” relationships objectively, mathematically. They wanted no government regulation, no government programs, not even public schools–only a well-equipped military and well-funded police system to protect private property. In earlier times, similar policies were known as “laissez-faire” economics, and Kings and their courtiers loved them. Friedman valued what he called “shock therapy” for economies. He said when awful things happened, it was then politically possible to make radical economic changes. After Katrina had devastated New Orleans, for instance, Friedman’s last public act was advising George W. Bush to replace destroyed public schools with charter and private schools. The move was successful in a traumatized city. It is doubtful it would have happened in a healthy democratic process with public debate. War-think dominated the world view of Friedman and his boys, whose policies would wage economic terror in countries around the world. Left out of Friedman’s lecture was any reference to his first government customer: Augusto Pinochet, military dictator of Chile. Pinochet utilized economic shock therapy and torture, which went hand-in-hand with Friedman’s ideas in whatever nation they appeared, often with the aid of our CIA and its interrogation manual, KuBark. One of Friedman’s most admiring disciples was Donald Rumsfeld, Secretary of Defense under George W. Bush, who brought us Shock and Awe in Iraq and torture at Guantanamo. You can read more about the economic thinking that has helped subvert the original aims of the IMF, the World Bank, and the political agency of democratic movements around the world in The Shock Doctrine; The Rise of Disaster Capitalism by Naomi Klein. My review is posted. Here’s a link to a British article about what happened post-Katrina. 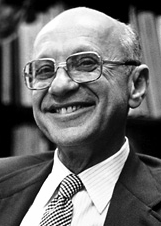 Friedman’s ideas were embraced as “trickle-down economics,” “supply-side economics” and “free-trade economics.” His followers are sometimes called “neo-liberals,” to make things more confusing, since they are fundamentalists disdainful of any government that values people as much as property and business interests, preferring dictatorships, puppets and police states to democratic process. Their fraternity came to be known in the global economy as The Washington Consensus. Under their tenure, wherever their ideas gained hold, poverty grew in direct relationship to the gains of a small number of the extremely wealthy. Now with their credibility in question, the IMF a pariah in many countries, the World Bank in profound crisis, and a $700 billion bailout of Wall Street threatening U.S. solvency, we are on the cusp of disaster–or new economic possibilities, fresh ideas. Without a story, we are, as many of us were after September 11, intensely vulnerable to those people who are ready to take advantage of the chaos for their own ends. As soon as we have a new narrative that offers a perspective on the shocking events, we become re-oriented and the world begins to make sense again….local people’s renewal movements begin from the premise that there is no escape from the substantial messes we have created and there has already been enough erasure–of history, of culture, of memory….Radical only in their intense practicality, rooted in the communities where they live, these men and women see themselves as mere repair people, taking what’s there and fixing it, reinforcing it, making it better and more equal. What is your economic story? How do you think our nation will write the next chapter of its economic history for we, the people?